HP GCE-8487B CD-R/RW IDE Drive BLACK BEZEL, TESTED. HP SN-324 CD-RW/DVD DRIVE. Apologies for the image quality but item is as listed. 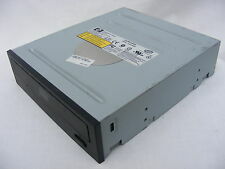 This a 2004 Era IDE Connector Type Combo CD-DVD Drive. It was removed from a Compaq nx9110 Laptop and is in fully working order. The bezel may be removed and your own substituted as these CD/DVD Combos are fairly standard across the industry and only the bracketry is normally different - that too is removable from your existing drive. About the item: This item is associated with the following MPN(s): PA850A. Information technology professionals rely on HP quality to ensure maximum productivity. WE WILL BE HAPPY TO WORK OUT ANY PROBLEMS/ISSUES RELATING TO YOUR ORDER. HP DVD-ROM 1977098R-V7 391649-9D0 DW-224E. MPN 391649-6C0. Si el artículo tiene que ser devuelto haremos los arreglos para su recogida o cubrir el costo de envío de devolución. Colección en persona. Festivos y domingos - cerrado. 10 a.m.-2 p.m. el sábado. HP PN: 4925170006764. HP CD-RW / DVD Drive. HTML clipboard. Profihändler seit 2002. Ihre Vorteile. Persönliche Abholung. 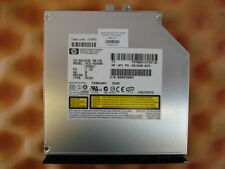 HP DVD -RW/CD-RW - 485604-001. Audio Visual. DVD -RW/CD-RW. Ending Soon. New Arrivals. QUICK LINKS. we do not take any responsibilty after this. 12.7mm (0.5in) form factor. Tipo Unidad de CD. Type CD Recorder. 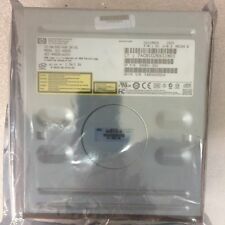 68-pin de HP CD-RW drive 303557-930 1977103A-43. Beschreibbare Formate CD-RW. Connector Type Machine Specific Connector. Modell 1977103A-43. Bezel Colour Schwarz. EAN Nicht zutreffend. After handling. We take our reputation seriously. Removed from working laptop. Fully working. Realizamos envíosTODOS LOS DÍAS. DESMONTADO POR UN TÉCNICO ESPECIALIZADO. HP PN:1977103A. HP Compaq CD-RW Laufwerk. Rechnung mit ausgewiesene. Rechnung mit ausgewiesener. Bar bei Abholung. Aufpreis von EUR 10. Vorkasse Überwesung. Bei Kauf erhalten Sie eine. HP CD-RW/DVD GCC-4244N 285529 001 GYGO. 90 días de garantía RTB. Si el artículo tiene que ser devuelto haremos los arreglos para su recogida o cubrir el costo de envío de devolución. Unidad de DVD-ROM/CD-RW HP slimline 294766-935 19770980-57 337237-001. Factor de forma Slimline (13mm). Tipo Unidad de CD. Lesbare Formate DVD R. Beschreibbare Formate DVD R. Lesbare Formate DVD-ROM. Lesbare Formate CD-ROM. MPN 294766-9D7. Si el artículo tiene que ser devuelto haremos los arreglos para su recogida o cubrir el costo de envío de devolución. Colección en persona. Festivos y domingos - cerrado. 10 a.m.-2 p.m. el sábado. Produktart CD-ROM Drive. Compatible con CD, CD-R y CD-RW. CD-RW / DVD Laufwerk für das. Das Laufwerk ist in gebrauchten und guten Zustand. CD Brenner und DVD-ROM Drive. Abbildung symbolisch, nicht Original. Typ CD-Laufwerk. Die Geräte sind technisch und optisch in einem einwandfreien Zustand. Kompatibel mit Evo N610c, Evo N620c. Formfaktor Slimline (13mm). Modell 1977103A-43. HP 6930P DVD-RW/CD-RW WITH LIGHTSCRIBE. Audio Visual. Ending Soon. New Arrivals. QUICK LINKS. Desktop PC. we do not take any responsibilty after this. Why Choose Us! La331903-B21 HP ES UNAUnidad Combo CD-RW/DVD-ROM interno para su sistema HP. Readable Format(s) DVD-ROM. MPN 331903-B21. Únete a nosotros en el movimiento verde y disfrutar de soluciones rayo rápido en el valor final. Audio Visual. we do not take any responsibilty after this. Ending Soon. New Arrivals. QUICK LINKS. PC Components. Why Choose Us! Desktop PC. Genuine HP Compaq CD-RW Drive. HP Compaq Part: 303557-930 323226-001. HP CD-RW/DVD GCC-4244N 285529-001 GYGO. HP G72 Series DVD /-RW CD-RW SATA interna Laptop Optical Drive. Writable Format(s) DVD /-RW CD-RW. Writable Format DVD /-RW CD-RW. Readable Format(s) DVD /-RW CD-RW. Computer Model G72 Series. Interface SATA. About the item: This item is associated with the following MPN(s): UJDA775. WE WILL BE HAPPY TO WORK OUT ANY PROBLEMS/ISSUES RELATING TO YOUR ORDER. 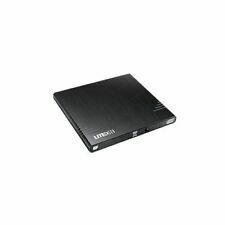 HPE DVD-RW Server-Laufwerk / Optical Drive - mini-SATA, 9.5mm - 652297-001. HP DVD-ROM Server-Laufwerk / Optical Drive - mini-SATA, 12.7mm - 481428-001. HP DVD-ROM Server-Laufwerk / Optical Drive - mini-SATA, 9.5mm - 652296-001. Note, picture is of actual item. What you see is what you get . In the unlikely event there is a problem with your item we are always happy to investigate and resolve issues. Bankers Draft. Credit or Debit Cards. Notebook Laufwerk, IDE. Rechnung mit ausgewiesene. Professionell geprüft. Mit 12 Monaten Gewähr. Ideal zu Reparaturzwecken für normalerweise sehr teure Ersatzteile. Aufpreis von EUR 10. Funktioniert einwandfrei! DVD-ROM -CD-RW Drive PH - Compaq. HP COMPAQ DVD-ROM CD-RW DRIVE. HP P/N:336431-930. Ideal para: HP ProLiant DL360 G4. HP ProLiant DL360 G5. HP Proliant DL380 G4. HP ProLiant DL380 G5. HP ProLiant DL385 G1. HP ProLiant DL385 G2. HP DVD-ROM/CD-RW combo drive óptico unidad servidor - 399959-001 / 403404-001. 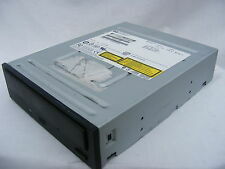 CD-RW DRIVE, HP, Model: SOHR-4839S, #K-35-1. Internal CD-RW drive with ATAPI/E-IDE interface. Supports CD, CD-R and CD-RW discs. 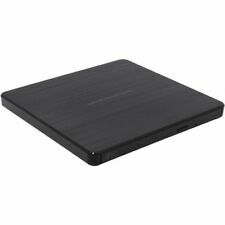 HP Touchsmart 9300 DVD /-RW CD-RW SATA interna Laptop Optical Drive. Computer Model Touchsmart 9300. Writable Format(s) DVD /-RW CD-RW. Writable Format DVD /-RW CD-RW. Readable Format(s) DVD /-RW CD-RW.